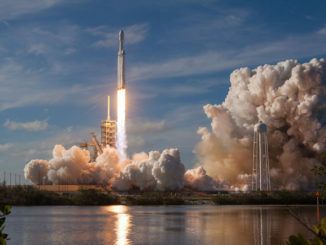 The launch of a SpaceX Falcon 9 rocket Aug. 24 from California delivered Taiwan’s Formosat 5 Earth-imaging satellite to orbit, and the Falcon’s first stage booster returned to landing on a drone ship downrange in the Pacific Ocean. 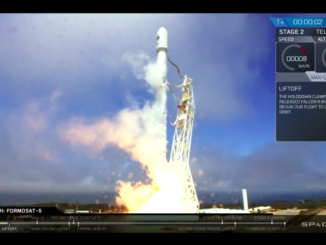 Watch a replay of the launch of a SpaceX Falcon 9 rocket from California carrying Taiwan’s Formosat 5 Earth observation satellite. 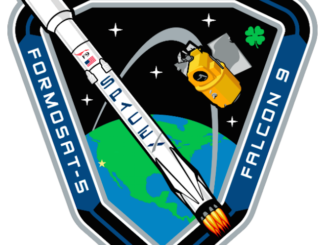 Follow the key events of the Falcon 9 rocket’s ascent to orbit with the Formosat 5 Earth observation satellite for Taiwan’s National Space Organization. 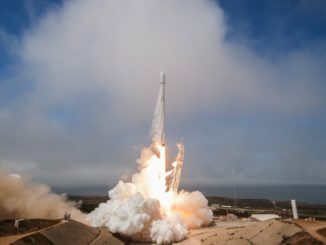 SpaceX launched its 12th Falcon 9 rocket of the year Thursday from California with Taiwan’s Formosat 5 Earth observation satellite. 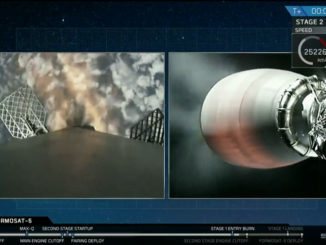 The two-stage rocket lifted off at 11:51 a.m. PDT (2:51 p.m. EDT; 1851 GMT) and deployed the Taiwanese-built spacecraft into polar orbit. 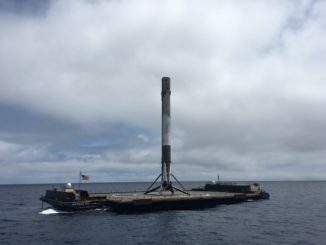 The Falcon 9’s first stage booster successfully landed on a drone ship downrange in the Pacific Ocean. 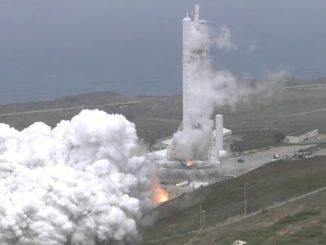 A commercial Falcon 9 rocket in the final stages of launch preparations fired its nine Merlin main engines Saturday at Vandenberg Air Force Base in California, verifying its readiness for liftoff with a Taiwanese Earth-imaging payload Thursday.